We couldn't let our Handmade issue pass by without trying to come up with a beautiful bike - or two. But while a radical re-engineering of the bicycle is a pet obsession for some, we weren't interested in the fundamentals. This project was more about the application of smart ideas, a call-up for genuine craftsmen. Now we're offering these works of art for sale. Despite the perils of potholes and truckers' blind spots, team Wallpaper* are committed urban cyclists. So committed that we commissioned a bike, two in fact, that could be broken down (using very clever and super-sturdy S&S couplers), packed in a bespoke bag and loaded on a plane, with no excess baggage charge, and taken with us wherever we went. The project pulled in a wide range of craftsmen collaborators from the US, UK and Japan - frame builders, designers, paint specialists, saddle makers, leather carvers and bag and luggage makers - to ensure that every element of the bike was as beautifully put together as it could be. 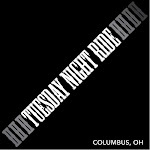 29 riders, our largest TNR yet! Help us give away $100,000! To highlight our commitment to bike advocacy and the fight against climate change, CLIF BAR is awarding a $25,000 grant to each ofthree nonprofit organizationshelping to lead the charge. We’ve assigned each organization to a 2 Mile Challenge team: Red, Gold and Blue. All you have to do is register, pick your team and start pedaling your bike to earn points and move the goodness forward. The winning team will earn its nonprofit an additional $25,000 grant! We decided to modify the 85 mile route because of the heat. Breakfast at Early Birds - great food and service. Took 13 into Newark where we hit the trail. Took Newark-Johnstown trail to Alexandria. Two fawns were hanging out on the trail in the shade as we headed into Granville. Heat was oppressive and we stopped every 10 miles for fluid refills. 74 miles (I broke 3000 miles for the year, fastest to the mark ever). We stopped by Blacklick Metro Park for a walk and explored the connector trail heading south. The trail is paved and follows Blacklick Creek under I-70 and Tussing Road where it ends. From there riders will need to take Tussing to Hines Rd and follow the mix of trails and roads down to Three Creeks. MORPC map is here to see the southern routes. I may try this as a ride sometime in the near future.